Nabor House is a small, agricultural fraternity at the University of Illinois. Located on Lincoln Avenue, Nabor House has the shortest walk to the Agricultural, Consumer, and Environmental Sciences (ACES) campus of any fraternity. Nabor House is also the lowest cost housing option on campus, with a rent of $650 per month that covers utilities, internet, cable, parking, and 16 meals per week. Members value agriculture, cooperative living, Christian values, and recreation. Nabor House has posted a cumulative GPA above 3.0 for 37 consecutive semesters and hosts weekly Bible studies. All Nabors pitch in with the cleaning of the House and preparing meals to keep costs to a minimum while learning valuable life skills in the process. 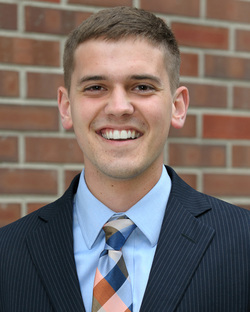 Lucas Frye, who just graduated from the University of Illinois in May 2015, spent his senior year as the student trustee for the Urbana-Champaign campus of the University of Illinois. We caught up with him to ask him about the experience. Ed McMillan, who has served on the University of Illinois Board of Trustees for the last six years, was reappointed for a new six-year term and named the new chairman of the board. We caught up with him about serving for the past year with Lucas Frye and what’s to come in the next six years.